INFINITI vehicles only. Must present coupon when order is written. Limit one coupon per household. Not valid with any other offer. Plus tax. Valid only at Cerritos INFINITI, 10901 East 183rd Street, Cerritos, CA 90703. INFINITI vehicles only. Must present coupon when order is written. Limit one coupon per person. Includes up to 5 quarts of conventional oil filter installation, and multi-point inspection. Synthetic oil changes are $94.95. Not valid with any other offer. Plus tax. Valid only at Cerritos INFINITI, 10901 East 183rd Street, Cerritos, CA 90703. INFINITI vehicles only. Must present coupon when order is written. Limit one coupon per household. Offer applies to the same vehicle and household for both visits. Includes up to 5 quarts of synthetic oil. Not valid with any other offer. Plus tax. 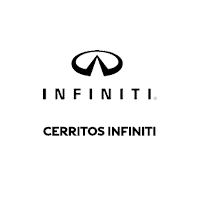 Valid only at Cerritos INFINITI, 10901 East 183rd Street, Cerritos, CA 90703.